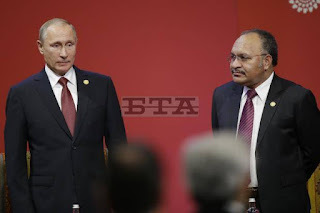 PAPUA New Guinea will for the first time host a trade delegation from Russia next February, Trade Commerce and Industry Minister Richard Maru says. He said Russia was keen to bring the trade delegation. “Russia is an exciting new opportunity for PNG. We are excited (because) it’s a new frontier in terms of business,” he said. “The Government is keen to engage with our Russian friends. It’s a country we’re keen to do business with. “I’ve asked them to send a trade delegation in the last week of February so we can do a presentation to them. “They can come and look at investment opportunities and look at goods they may want to buy from our country.